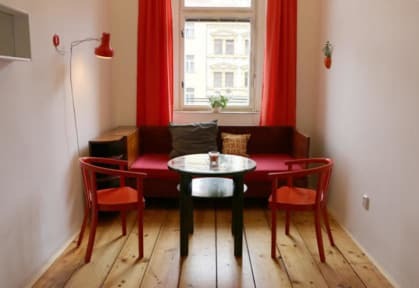 Hostel Lipa, Praga, Czechy : Rezerwuj teraz! Loved the place! If you're keen on old, but good socialist design, you'll be delighted with Lipa. It brings tear to my eye as a Slav, though I recommend it the most to guys from countries that haven't been part of Eastern Europe. 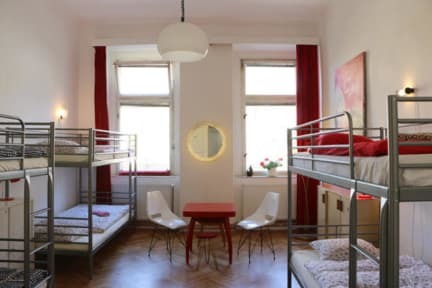 Hostel is located in a quiet part of Prague, so it maintains privacy while being close to the center. There are just a few rooms, so it's the best place to calm down in a quiet atmosphere. Kitchen was a bit scatty and unequipped, though it's just a little drawback.